Better flavours and higher yields: Ingredients are carefully balanced without nuisance chemicals to ensure harvest brings pure, clean flavours with no nasty background tastes. We also use high grade, non PGR ingredients including cutting edge compounds for maximizing yield and flavor. Nutrient and additives are far easier to use: Superior product chemistry means no pH adjustment is required in coco or soil, and the nutrient solution runs very clean without blocking drippers. There are no complex dosing procedures and feed charts are very easy to follow. The FloraMax range is now available in U.S. & Canada. Please contact us for details. Tel: 888-224-4667. U.S. shop list. FloraMax is advertised monthly in Maximum Yield USA and Maximum Yield Cannabis. Visit PMG for our editorial articles. You can view other articles in our Grow Guide section. Are FloraMax products 'organic' or 'inorganic' (aka synthetic)? 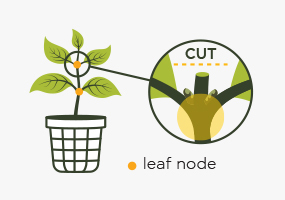 It is foolish to think plant growth can be optimized using one solitary method. For this reason the FloraMax range incorporates a sophisticated blend of both organics and inorganics – although government regulation prohibits the disclosure of the organic ingredients in most cases. Importantly FloraMax is free of PGR’s such as paclobutrazol, daminozide and gibberellins. How many bottles do I need to grow a crop using FloraMax? The use of 1-part technology throughout our range ensures each product is multi-purpose. This means you require only 4-5 bottles (base nutrient included) to cover a multitude of issues and ensure outstanding yields. Simplicity is further demonstrated with our base nutrients. 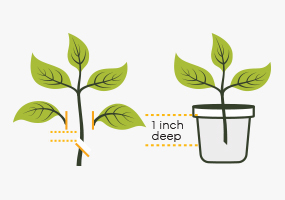 Growers only require a single nutrient for seed-to-harvest growth instead of a separate grow and bloom formulation. Less bottles means less confusion! Does FloraMax prevent common nutrient issues? In most cases, good product design will prevent nutrient problems. 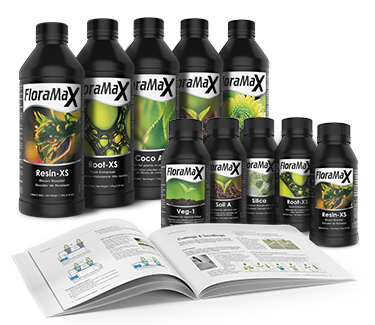 FloraMax’s products contains the latest nutrient technology which helps avoid common issues such as nutrient deficiencies, large pH fluctuations, fruit rot, blocked drippers, disease and hot weather wilt. 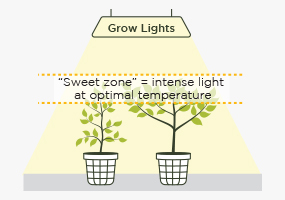 This allows growers to focus on other important areas such as lighting and the grow room environment. Does FloraMax use high quality ingredients? FloraMax utilizes the highest grade of ingredients available for plant nutrient products. Further, these are carefully balanced to avoid any unnecessary excess. 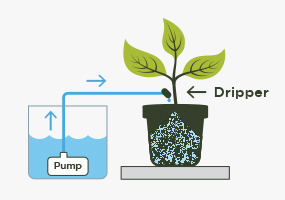 This ensures the nutrient solution “runs clean” without blocking drippers or emitters. Is every FloraMax batch tested for quality? 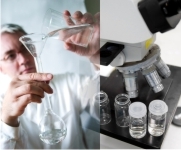 Every batch of FloraMax is manufactured by our in-house chemist, then tested for quality before being bottled. This ensures every bottle performs to specification. Growers can be confident of achieving consistent yields from crop-to-crop. How much pH adjustment is required with FloraMax nutrients? Our pH buffering control is 5x stronger than other leading brands. This means pH adjustment is not required in coco coir or soil and is reduced significantly in recirculating hydroponic systems. Also, when dosing with alkaline additives you are unlikely to ever see white deposits or “clouds” in the nutrient. "...the buds do not have a PGR look to them and look natural in their structure... the bud sites are huge and filled with resin! At the start of the week i thought really nice, everything is producing…then that week it just got huge…best ever. There have been no set backs at all and i have never seen such steady growth. No stalling No burning No setbacks. When the trichomes pushed out there was easily a third more than normal. The reservoir, lines and drippers are still clean after a long grow. With FloraMax Coco the pH never goes above 6.0. It rises to 8 with regular nutrients.